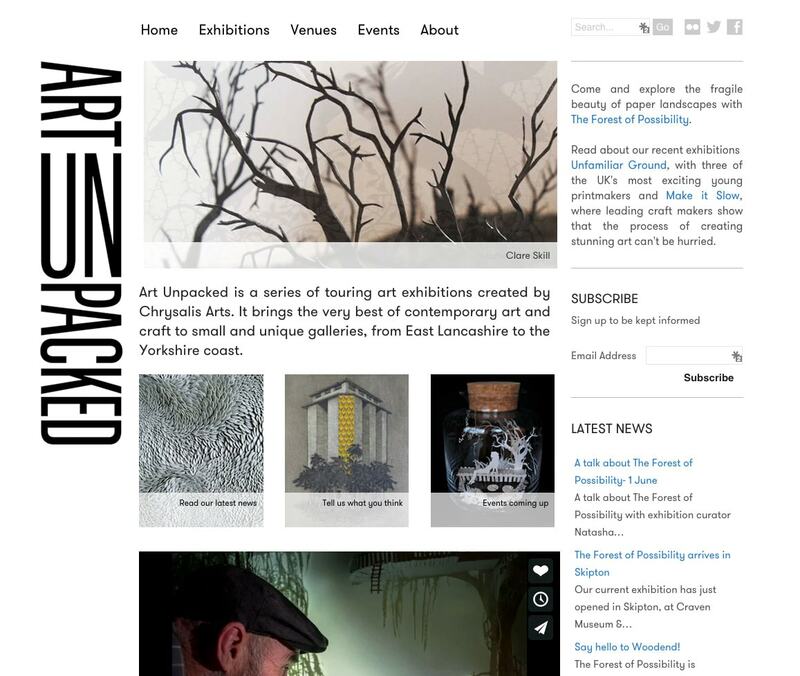 The Art Unpacked website showcases and supports a series of touring art exhibitions created by Chrysalis Arts. 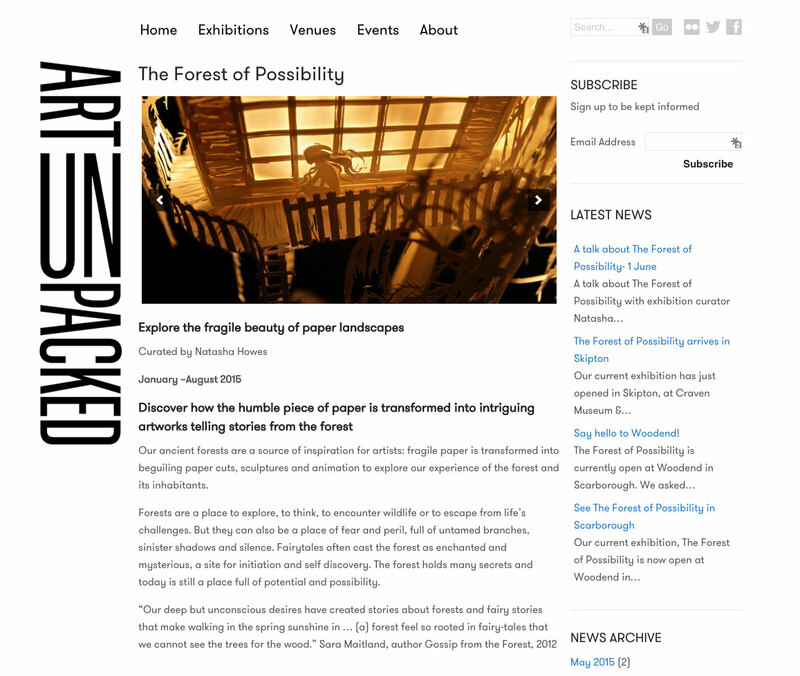 It brings the very best of contemporary art and craft to small and unique galleries, from East Lancashire to the Yorkshire coast. 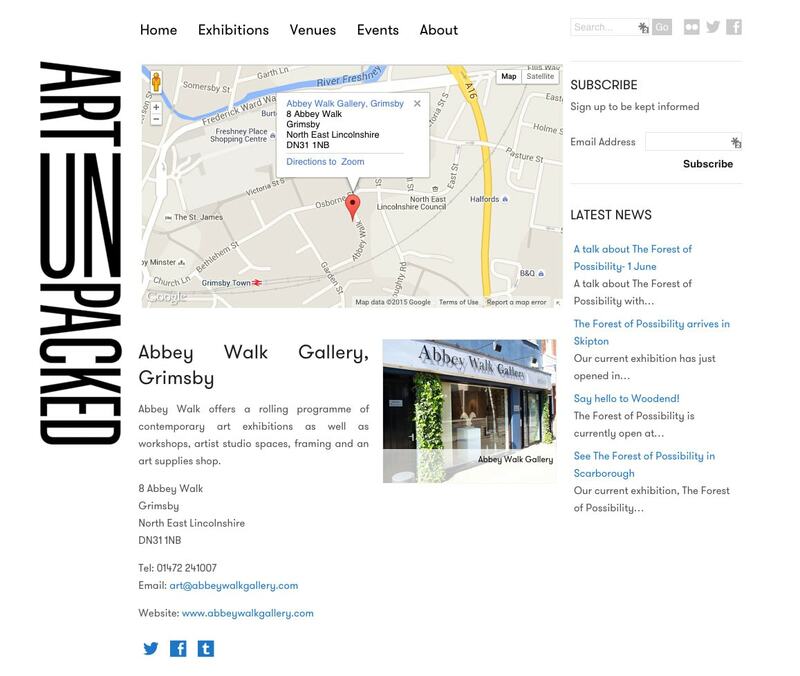 With an identity created by award-winning designer, Neil Holroyd of Oblique, we created a stylish and clean website design with some nice features. These include: responsive, mobile-friendly design, social media integration, a CMS (content management system) and an integrated MailChimp widget.